It’s the age old battle between conservation and cultivation; which comes first? Farmers are under great pressure to produce enough crops and livestock to support the growing population demands while environmentalists watch as the planet rapidly decreases of natural resources and species diversity. On average, the world looses one species of living organism every 20 minutes! Now we aren’t just talking about animals here but also plant life, fungi, bacteria and anything else that is living. That is a lot of loss. 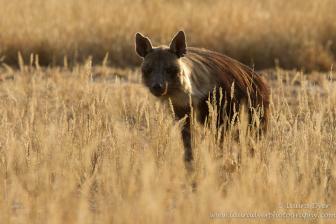 There are an estimated 4000 Brown Hyena left in Southern Africa. This unique species is the rarest of all the hyena species and due to competition over habitat and food source, the numbers of these long haired carnivores are decreasing. The Brown Hyena differs from its close relative the Spotted Hyena by its long and shaggy brown coat, striped legs, pointed ears and light coloured mane. While they do live in family groups called clans; the Brown Hyena are often spotted alone while scavenging for food or hunting small prey. It is a common misconception by farmers that animals like the Brown Hyena and others, including Leopard, Spotted Hyena and Wild Dog, are responsible for the killing of livestock such as sheep, chickens and goats. 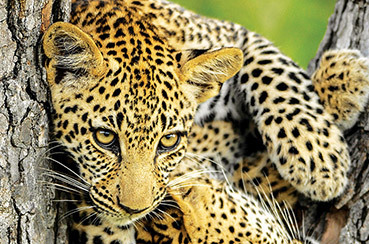 Many of our endangered predators are persecuted because their loss of habitat has forced them into human settlements which has made them a common target by those who feel threatened by their presence. Poisons are laid over crops and poisoned carcasses are left out for predators to consume. This has a direct effect not only on our predator population but also the populations of other species which rely on these predators and scavenge for food, such as Vultures, Black Back Jackal and Hyenas. Leopard Mountain is proud to report the introduction of a new breeding pair of Brown Hyena to the reserve. Brown Hyena have a mating hierarchy of an alpha male and female and with the introduction of this pair, we are hoping to be a part of the rehabilitation of this rare species. With 23,000Ha of pristine wilderness to roam, these animals will have no reason to venture off the reserve and our healthy population of predators will provide the new pair with an abundance of food. The pair were received by a farmer who agreed to capture the two should we introduce them to a new habitat. This is a break through in conservation as it proves that environmentalists are able to work alongside farmers in the conservation of rare and endangered species. With protected areas; species which cause a problem to human habitations are able to be captured and relocated as opposed to being killed. We have the resources now all we need is the cooperation, ingenuity and foresight from both teams.